I was asked by a local girls' school to give a presentation on safrus to the pre-1a (~6 years olds). Anyone have any ideas or experience with this? I was thinking about discussing all the different things we write and showing them some examples. 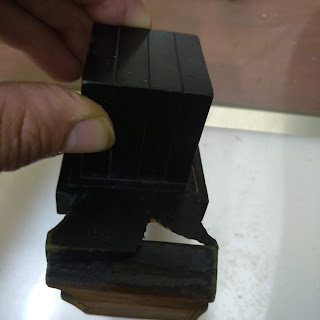 I was also going to show our tools (kulmus, klaf, ink). 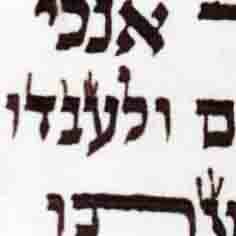 Since they are learning the alef beis I was also going to show the letters and how they are the same/different. Finally, I was thinking about cutting a rudimentary kulmus for each girl as a "souvenir" and letting them try their hand at writing a letter (not on klaf). I think you should show them how mistakes are erased. Writing names on klaf is always a hit. Another thing is showing them how parchment doesnt tear, by asking a volunteer to come fwd and tear oaktag /cardboard and then to try with the parchment. There are many other things that work well including dissecting a pair of tefillin (better with older kids). For under 5 yo's I bring my friends tuvya the turkey and peniah the parah (stuffed animals with feathers and parchment attached with help of a rubber band). Tuvya and P'ninah don't normally let people use their feathers and parchment, but because in this case it's for a mitzvah they are happy to oblige! That is very cute R' Eli, you seem to have experience with this, any more tips would be great. a shmooze about what I do, showing all my tools, a look at the letters etc. Then I will give everyone a piece of klaf with their name already written on it and let them try their hand to copy on the same klaf. I think 6yo's might be too young to copy with a feather. It may work. Try alos writing some thing live and have them crowd around and watch. Have a lot of experience with doing talks on sofrut for kids and adults. Basically best way to engage the youngsters is to do a big show and tell and take them through the journey of writing. and then write a couple of names for them on k'laf and get them to try some calligraphy - ususally I get them to use felt calligraphy pens (edding 5.0) as quills are just too much - did try that once - bit of a disaster as they just can't do it. 6 years olds too young. You could try one or two as an example. Left hander also have trouble and feel a bit bad so you have to comfort them. I give out ruled worksheets for them to practice on. Keep it light and engage them with questions all the way through and make some jokes as Eli says. With kids probably 30 mins max talk and then some more time for practical. I like the idea of emphasising that we use don't use metal and only peaceful components. It always gets sticky when talking about parchment, some people get very offended that animal skin is used. To answer this I always explain firstly 1) The animals are not killed especially for their skin. They are deceased for other reasons anyway. 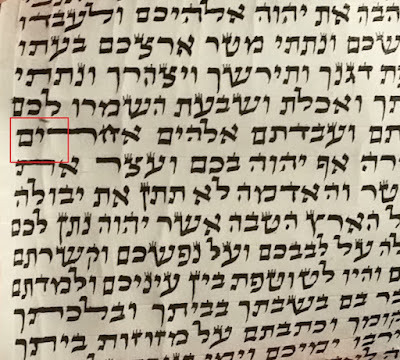 2) I explain the chassidic concept of how Judaisim is about elevating your natural sarroundings and it is a merit and blessing for the deceased animal that instead of rotting in the earth it's skin is being "recycled" and elevated for a divine and spiritual purpose. I would like to add one more thing on this subject. Also secular Jews can be introduced to 3 very imprtant mitzvos, (Tefillin / mezuzah and sefer torah in an interesting and non threatening manner. Kashrus can also be touched upon when dealing with min hamutar befichah by parchment etc. Finally, the biggest accomplishment of a sofer getting out there in the public arena is to raise awareness about the standards (or lack thereof) and how its important to check stam etc. The more people that hear this (both religious and secular) the easier our jobs will become.